I specialize in one-of-a-kind designs built to live well in the customer's environment. My work is influenced by both Japanese and American Arts and Crafts designs and designers. Rather than copy a trendy design, I try to create original pieces that will live in harmony in the customer's home or office. My work is guaranteed for as long as either I or the customer lives, and with reasonable care should last for generations. I am available for commission and custom design work, and particularly enjoy developing articles that will live well and age gracefully no matter your decor or taste. Much of my work involves the careful use of hand tools. While that work is oftentimes slower and more painstaking, I believe that the results are worth the effort, both in the exactness of the joinery and the appearance of the final piece. I rarely use stains, since the natural colors and graphics of the wood can be obscured by these treatments. Most often my finishes are composed of shellac and wax. I am a principal hand tool instructors for the Guild, and the originator and co-author of "Woodworking at the Next Level," a two-year series of over 20 classes aimed at the intermediate to advanced woodworker. I also teach classes in my Salem shop for select private students interested in fine craftsmanship and the creation of heirloom-quality furniture. 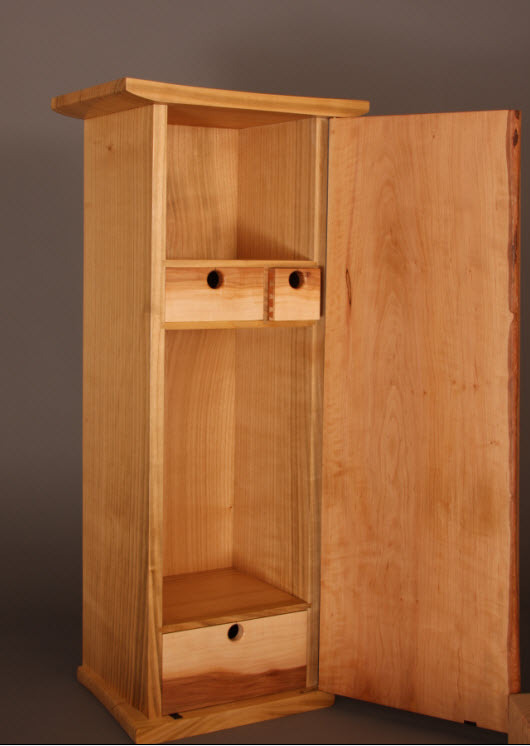 This wall cabinet was influenced by the work of famed furniture maker and teacher Jim Krenov. It is a small wall-mounted cabinet suitable for keeping treasures nearby, but behind a door. All of the wood in this cabinet is salvaged lumber; most of it would have been burned as scrap. The sides are sweet cherry salvaged from a local orchard, re-sawn and dried in my shop. The door is pear, also from an Oregon orchard. The drawer fronts are crab apple from my front yard in Wisconsin, and the drawer sides are quarter-sawn mahogany, remnants from another piece from my shop. The dark streaks rising through the door panel seem to emanate from the graphics of the base, and remind me of tendrils of smoke from a campfire. Even the hand-made door catch is a small piece of rosewood too valuable to throw away. Finished with shellac and wax. Three small drawers inside the cabinet provide spaces for small, precious objects, while the shelves provide a spot for larger, taller items. 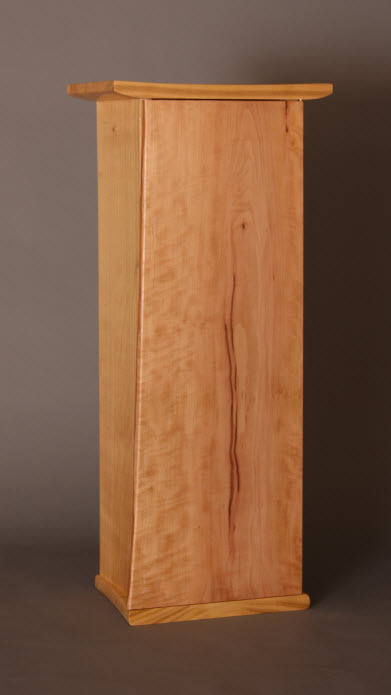 The natural, live edge of the pear door adds both visual interest and offers a natural spot for the hand, serving as the "handle" with which the door opens. 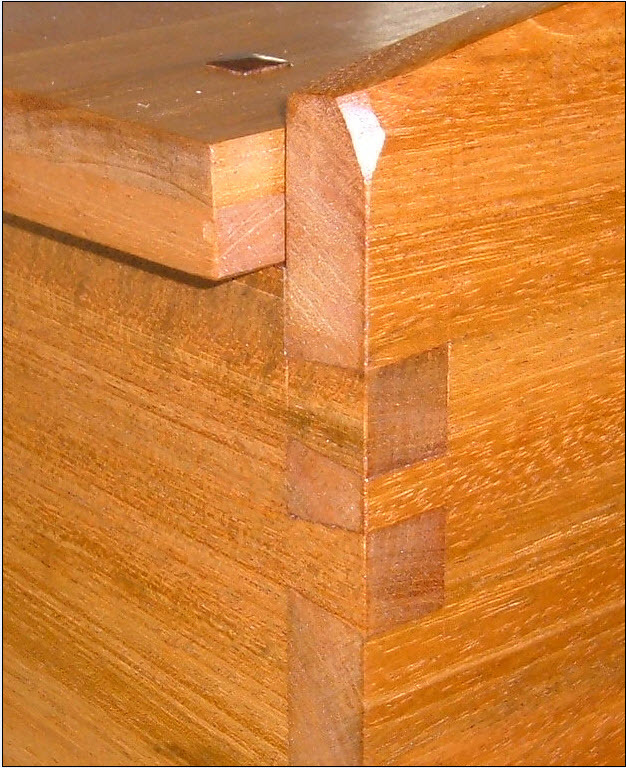 Small, delicate hand-cut dovetails are used in the drawer construction at the front and rear corners. The drawer components are milled slightly larger than the drawer opening, and then the drawer is carefully fitted to its place in the cabinet. 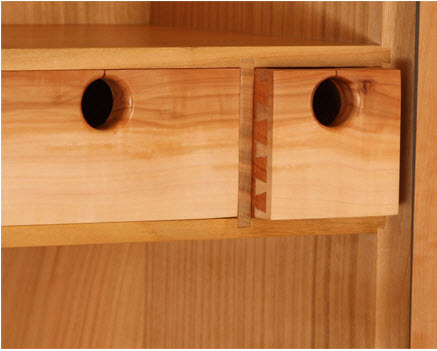 This care results in a drawer that fits well, does not rattle and slides easily. 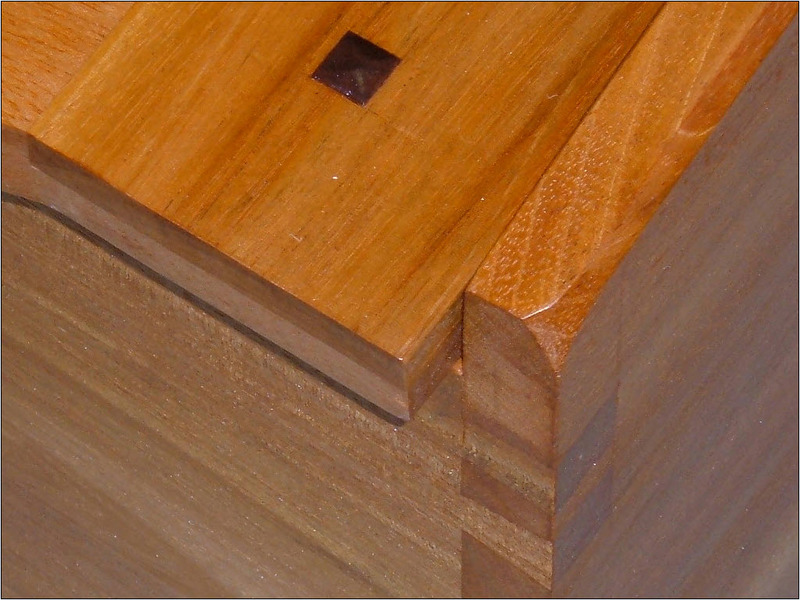 I use quarter-sawn lumber, often mahogany, for drawer sides because of its inherent stability. 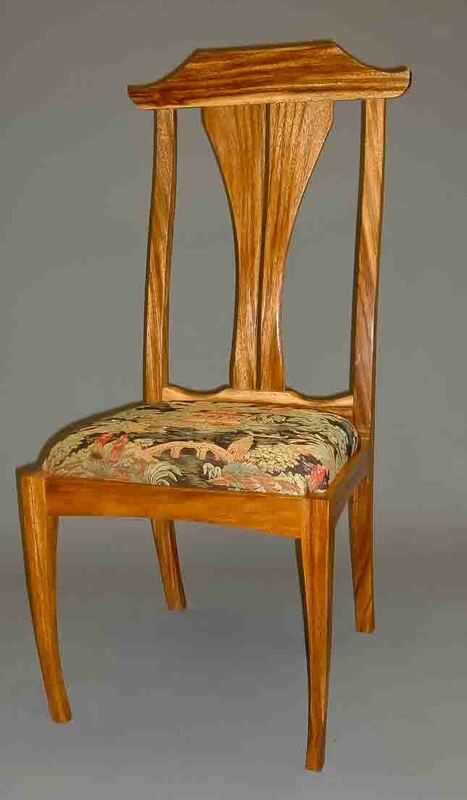 This chair is an original design, with strong influences from Chinese furniture and architecture. It is made from an imported species known locally as African Walnut, but the resemblance to the American species stops with the name. I included several areas of sapwood (the lighter portions of the lower set rail, for instance) because I appreciated the contrast and visual interest the lighter wood offered. The finish is sprayed shellac, rubbed by hand and then waxed. 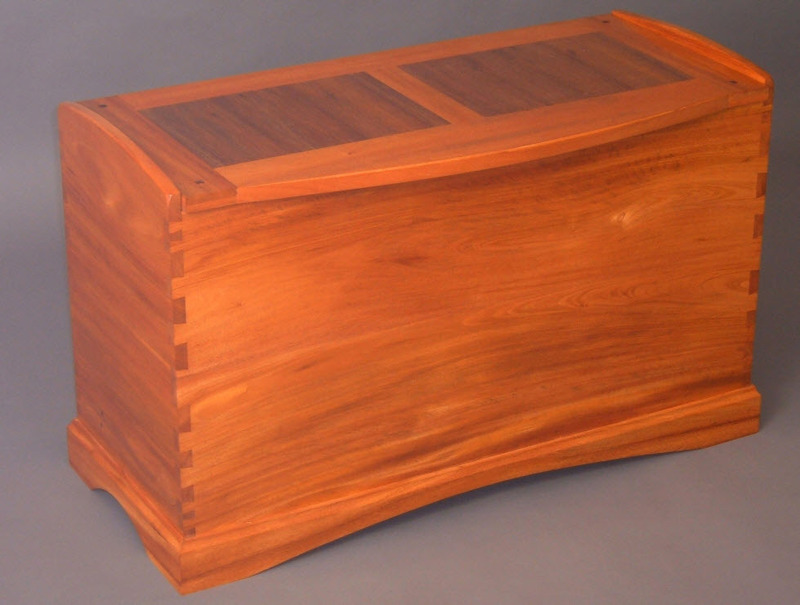 This item is a dovetailed mahogany blanket chest. 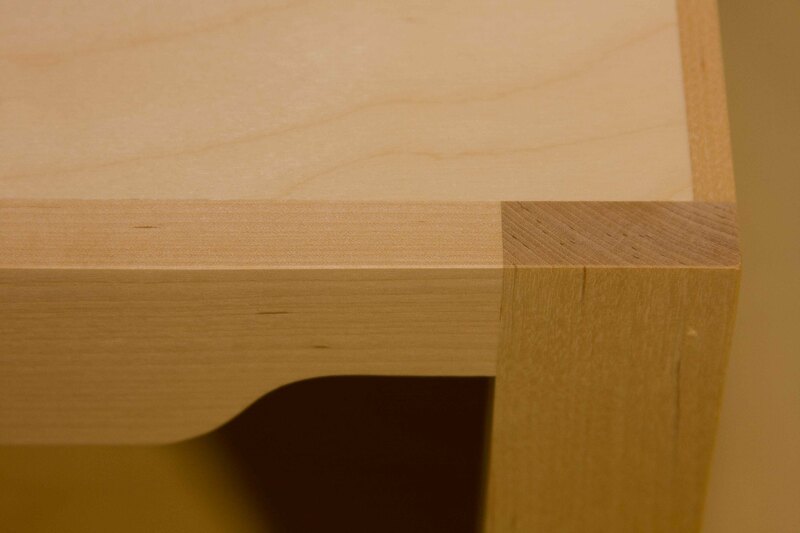 All of the joinery is cut by hand, including the half-lapped joints at the corners of the top. The chest is solid lumber except the inset panels in the top, which are shop-sawn veneers for stability. The corners are also pegged for durability. The bottom of the chest is solid aromatic (Eastern red) cedar it gives a wonderful fragrance and helps to protect clothing items from damage. The grain in the top panels is filled, and the entire chest was finished by hand with orange shellac and then waxed. Small details help to reflect light and add visual interest. These details also invite the hand to explore the surfaces of this box. 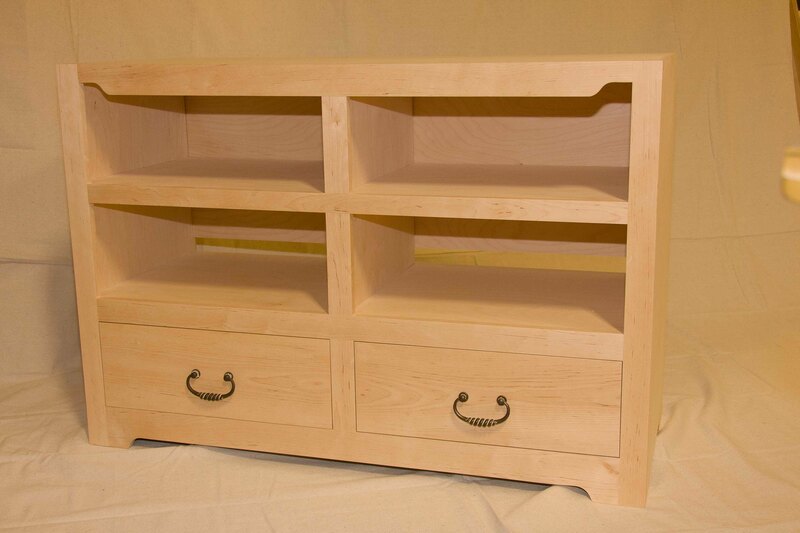 This commission piece, a small media/entertainment center, was constructed of multi-ply Baltic birch plywood at the customer's request. The face frame and edge banding for exposed plys were sawed from solid birch lumber. The two drawers slide on self-closing drawer glides, and are faced with solid birch from one board, for a continuous grain pattern across their width. Drawer pulls were selected by the client to match existing hardware in the home. The design provides lots of space for components in the four upper, open bays, and the drawers are substantial enough to hold a large collection of CDs, DVDs, or cables and component accessories. The back is open just above the lower shelf, providing plenty of space for cables to pass through. The piece was delivered unfinished to the client, who wanted the opportunity to apply the finish himself. My niece has loved horses since she was old enough to understand what they were. The first book she asked me to read to her described the characteristics of every breed. In short order - before she could read the words herself - she could recognize and identify each of the photos in the book. Now, at the ripe old age of 9 - she’s an accomplished equestrienne winning ribbons for her poise and control aboard animals much larger than she. 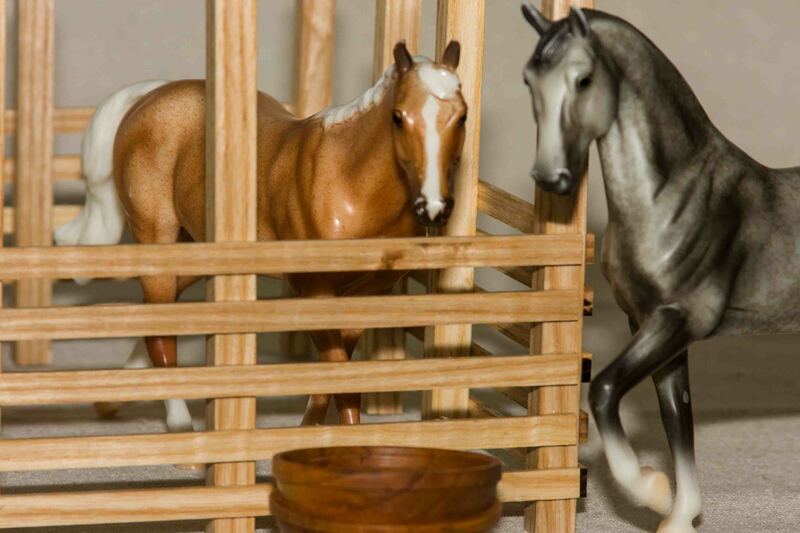 When she asked me to build a barn and corral for her collection of horse figures, it was a nice opportunity to make an heirloom for her and, perhaps one day, for her children. It was also an opportunity to work in a scale much different scale than my normal work. 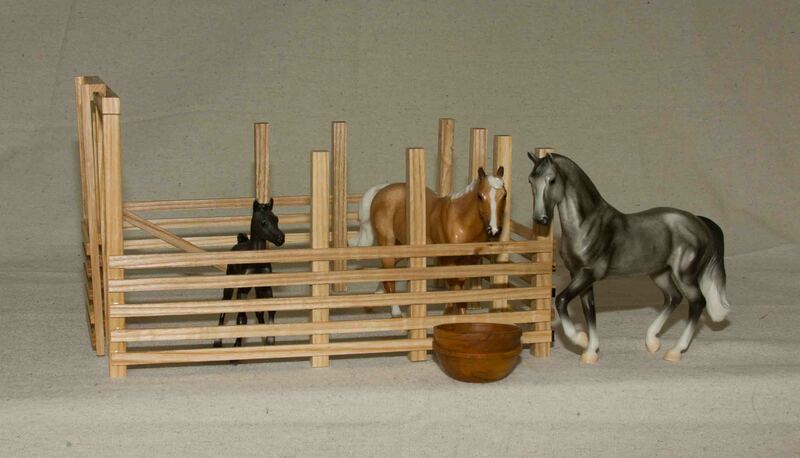 She sent me a few of her horses so I could make the barn and corral to an appropriate scale. The structure of the barn is shop-laminated plywood trimmed with ash, while the corral is constructed of ash resawed in the shop. 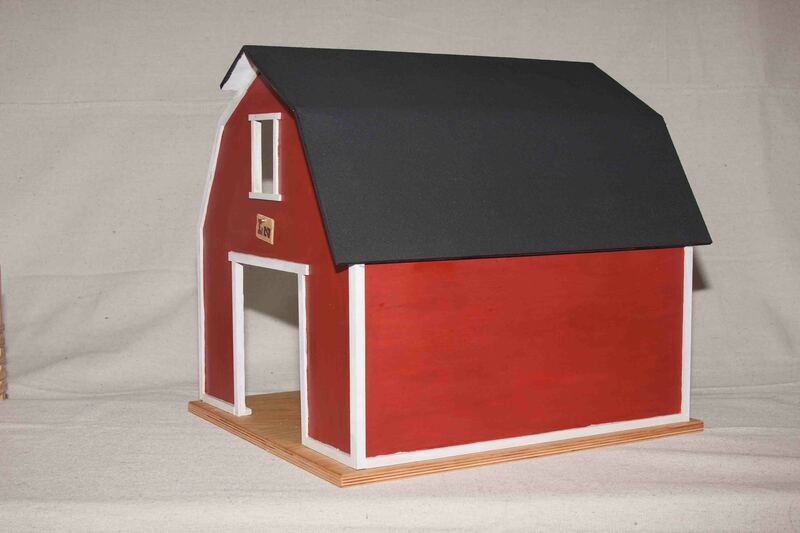 The barn is decorated with milk paint and sand. 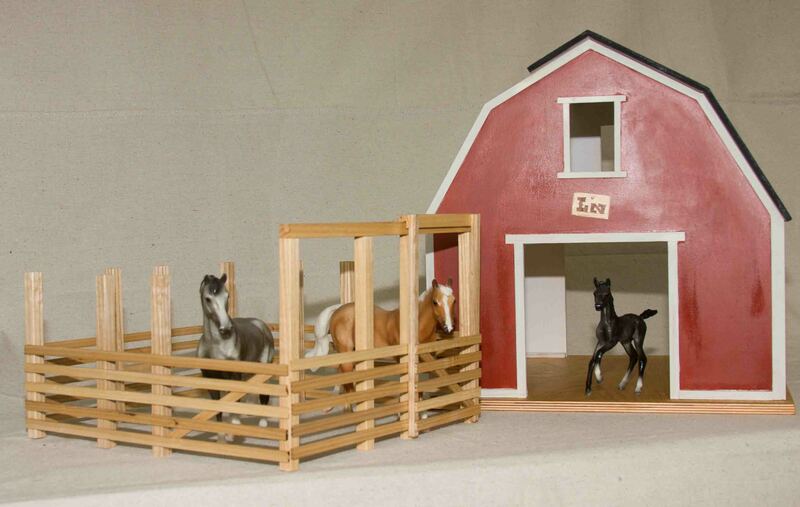 The corral and the base are finished with shellac. 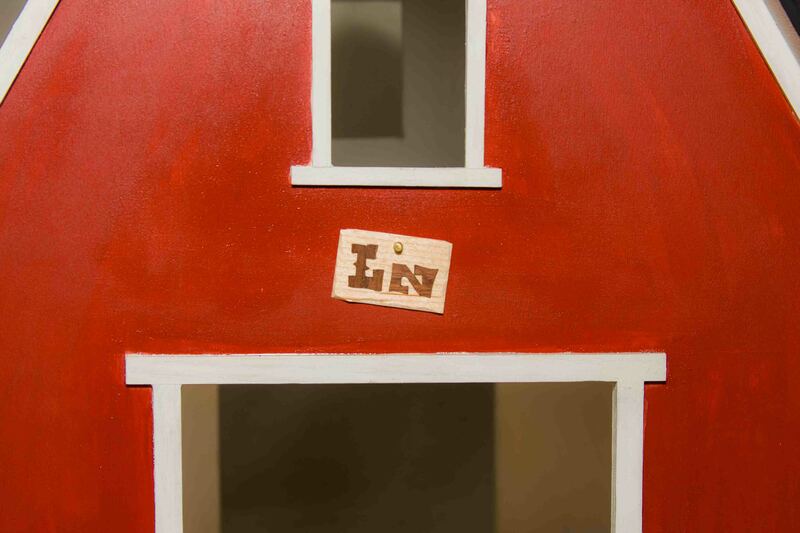 The marquetry “LazyZ” nameplate is walnut set into hard maple.